I just spent an hour uploading a load of photos to tell you all about how busy I am right now and the work I've been busy doing. It was all very busy! Colourful, and crochet laden, but work, work, work. I looked at the photos and honestly didn't really feel like writing the words, so instead I've spent another half an hour uploading random happy-pics from the past week or so. Snaps of ordinary life that have happened in between the mountains of work. ♥ A family walk on a grey Sunday around the reservoir, with geese flying over. ♥ The view from the Attic, with a delicious little patch of mellow sunlight creeping in. ♥ My back yard as seen from my bedroom window. ♥ Sitting in my back yard, working for hours on my Yarndale yarn signs. Hours. ♥ Blue sky overhead, the sound of early Sunday morning church bells and the jackdaws chattering to each other on the rooftops. ♥....now beside my bed making me happy morning and night. So Yarndale happens this coming weekend, and I am mad-mental busy preparing for it. If I get chance to add some words to my busy-busy crochet photo post I will do that tomorrow and share. If not, I shall see a good many of you at Yarndale I hope, and the rest of you will hear from me next week when it is all done and dusted. Soon, my life will settle again. Soon. Hi Lucy, that pumpkin is amazing, you are very talented! My husband is Canadian so I have to make pumpkin pie quite often and we love it very chilled with a big dollop of whipped cream! I must confess to getting my pumpkin out of a tin. I use cinnamon, ground cloves and ginger in mine. A lovely spicy, wintery flavour, washed down with a glass of mulled wine. I am loving making the coast blanket, thank you. I love the cottage garden color pallet and would love to make one. Do you have a list of the order in which you used the colors like you did for the coastal ripple blanket. I made the coastal blanket for my husband to use in his chair and now I want to make the cottage garden one for me. I absolutely love your garden! The simplicity of it with all its pots and a nice little place to sit down, how awesome!!! I sent my 'mandala'to you last June, for the big 'installment' you are going to make at Yarndale , so I am really looking forward to seeing the photos you will upload after the event. It's a pity I can't be there as I live in Greece, but I will think of you on that day and wish you the best of luck. i have never left a comment here i believe, but I used to visit the blog often, sometimes daily. Then i got real busy and after that i had forgot the name of your blog and could not find it untill now! So helou and thank you for the blog! .....and as for ' Kate '.....what IS your problem ???? Keep calm and Carry on! I am looking forward to your photos. I see nasty Kate is at it again! What a sad person.I don't think you would be able to print what I really think!! Love your blog Lucy...and I'm on the home straight with my coastal ripple blanket. Looking beautiful,dead proud of it. I love the photo of the dahlias! Lovely photos Lucy as always. We had a little trip to Skipton late afternoon on Sunday, sat by the canal and had a picnic. Then the church bells started calling people to evening service, Lucy it was lovely & relaxing. Hope that Yarndale is the success it is sure to be; you and the team have worked so hard. I was so inspired by your post, I picked little Spring posies for myself and my daughter, for next to our beds. I'm always amazed how much life and lovely things you have to show in-amongst your yarndale work. I'm doing a fraction of what you're doing to prepare and yet it seems to take over. So excited about the weekend! Oh, these stressy patches of life are hmprgggrrrrssarrgghh - but they usually lead up to something great (as in your case with Yarndale! )and then we so appreciate the life-back-to-normal bit afterwards - with the added glow of the memories of the something great we achieved! Hello Lucy! Thanks for posting all these lovely photos! 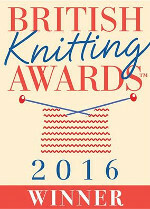 :) Feeling excited for you that Yarndale is happening so soon, shame I can't visit! You worked so very hard for it, so I am sure it will be a wonderful experience! Good luck for the weekend and thank you for all your cheery blogs. Never feel guilty about treating yourself to flowers or whatever else it may be and sharing your happiness. We would all like to make everything equal for everybody but impossible for mere mortals. Enough. Wished I lived near would love to come yarndale your blog is also so cheerful and bright just wish I could crochet like you .